Janye L. Victor portrays a true “tour-de-force” as Violet Weston. A missing father, a pill-popping mother and three sisters harboring dubious little secrets. When the large Weston family unexpectedly reunites after Dad disappears, their Oklahoma family homestead explodes in a maelstrom of repressed truths and unsettling mysteries. 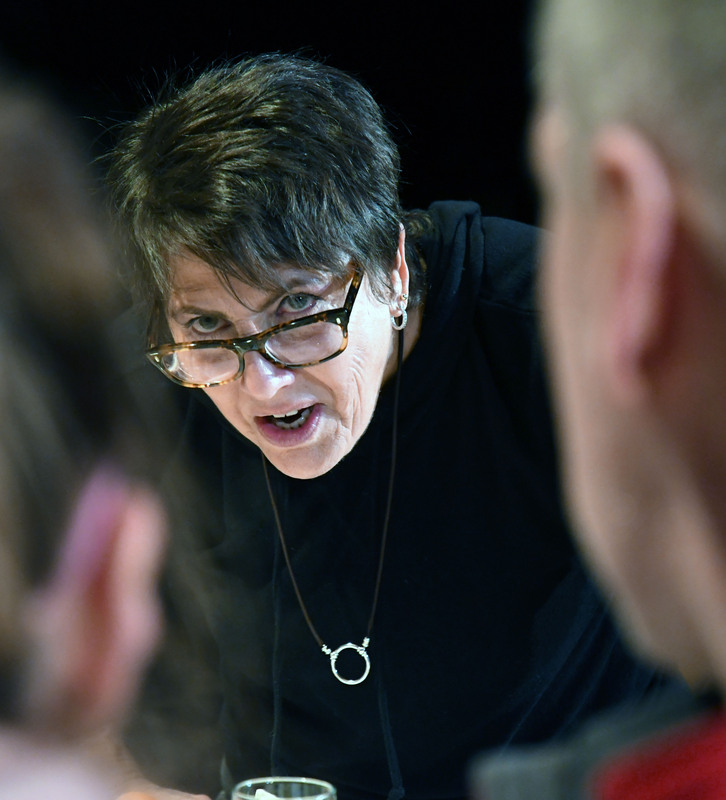 Mix in Violet, the drugged-up, scathingly acidic matriarch, and you’ve got a major play that unflinchingly—and uproariously—exposes the dark side of the Midwestern American family. Winner of the 2008 Pulitzer Prize for Drama and Tony Award for Best New Play, August: Osage County is one of the most riveting and critically acclaimed plays in recent Broadway history. Warning: This play contains strong language and adult content. “Amazing performances. Four women present a Weston Family tour-de-force!” (L-R) Mary Zuzik Andrechik, Beth Gilles-Whitehead, Andra Whitt and Jayne L. Victor. Photo by Chip Gertzog.